‘Sounds of Mar Vista’ is my debut EP as a guitarist. Heavily influenced by my Mediterranean roots as well as my love for blues and jazz, the EP contains original compositions written for and performed on classical guitar. After almost two decades of studying the instrument and its different styles, I return to the classical guitar to express my view of the world. 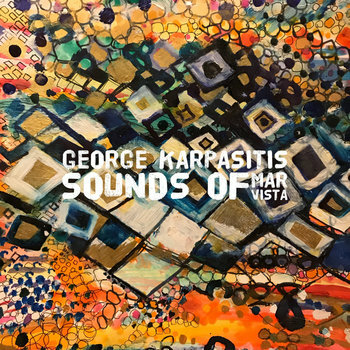 Although the pieces in this collection could be arranged for larger ensembles, in ‘Sounds of Mar Vista’ I deliver them to the listener exactly how I first hear them in my head. The compositions are performed solo, with no metronome, and the production is very minimal, contributing to a free-flowing and intimate experience. I invite you, the listener, to join me on a musical voyage from east to west, from the calm turquoise blue of the Mediterranean Sea to the crashing waves of the Pacific Ocean.